Thanks so much for stopping by. Today we are going to talk about storage. I think getting the best use out of your storage is something everyone struggles with and I’m sure you do too. We all have SO much stuff and trying to store it in a way that protects it while still giving you good access to it can be a little tricky. 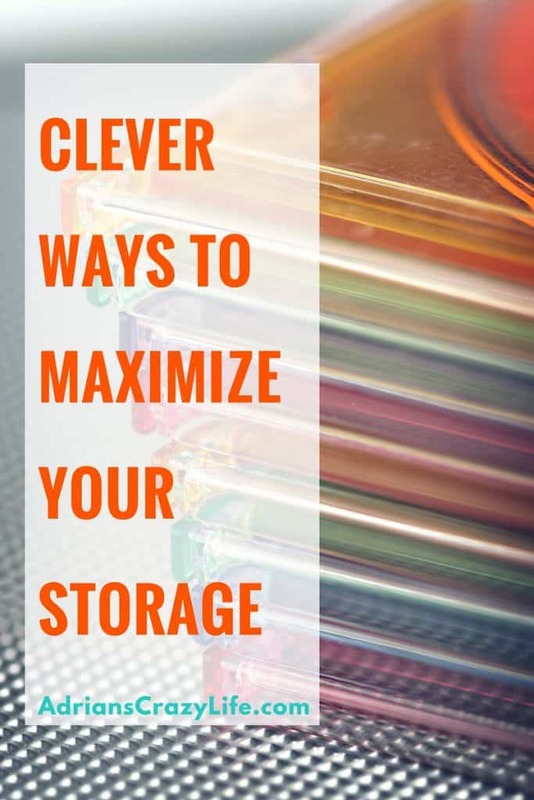 I’ve talked about storage before – I have a great post called Storage Solutions for Dummies that talks about a technique called Active Storage vs. Passive Storage. Basically that you store the turkey platter for Thanksgiving in a much different place than you store your day-to-day dishes. I recommend you read it if you get a chance. It has some thoughtful ideas. 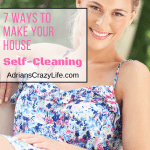 But today, I have a new tip to share with you that I picked up from my friend Cherice over at her site – Destination Create. Her tip is to eliminate the bulky packaging, which I think is brilliant. Her example is CD’s. Nowadays, most people are migrating to digital music options, which is probably the best tip of all, but many of us still have a pretty extensive collection of CD’s, DVD’s, and even VHS tapes (don’t laugh. I still have a BUNCH of them mixed in with the DVD’s and Blu-Rays, and yes, we watch them all the time – we are old school like that). This binder holds 400 CD’s or DVD’s in a single notebook. Now, that’s efficient storage. I use something like this – it’s almost like an old-fashioned jukebox. You put the CD’s in it and it has a computer site where you can print out a list of your CD’s to keep in the lid. With this way, you do lose the liner notes and pictures that come with it, but I never look at those things anyway, and you can always pull them up online, so I figure it’s a small price to pay to gain about 3 feet of storage space. Another area where this works really well is in your pantry and refrigerator. I do some Pinterest work for a lady who lives on a boat and writes a travel blog about living on board a sailboat. That is a situation where you need to be very smart about your storage options. One of her best tips is to remove all of her food from the cardboard packaging. You can exactly take out the trash on a boat, can you? So she takes the time to remove everything from the cardboard packaging, cut out the instructions and then tape them to the inner packaging. This really frees up a bunch of space in her fridge and storage areas because the inner plastic liners are much easier to stack and store. Try it and see. While we are talking clever tips, I finally sorted out my Tupperware situation. I was so dang tired of digging around trying to find something with a matching lid, I just went and tossed it all out (really, I DID!) and I bought these plastic storage containers with ATTACHED LIDS! So, much better, and they nest inside each other so nicely. Takes up about half as much space and I’ll never have to dig around for a matching lid ever again! What other ways can you come up with that will get the most of YOUR storage solutions? Great tips! 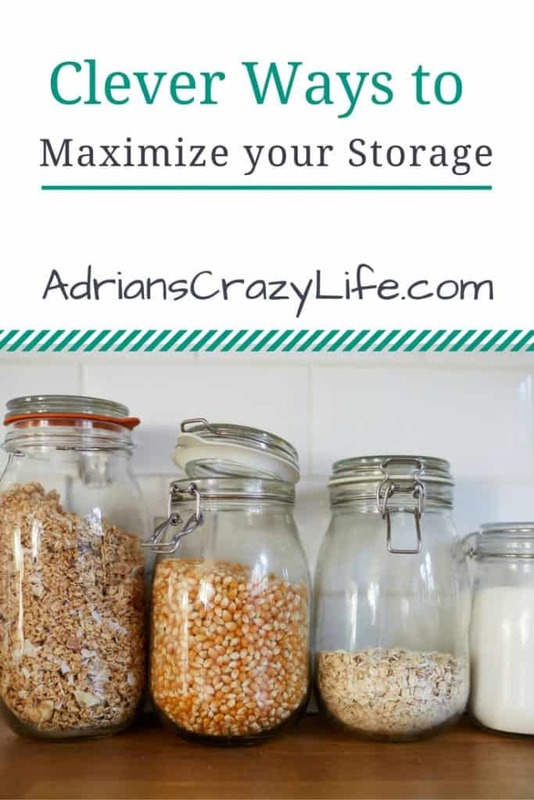 With our family of 5, we tend to buy in bulk and I’m always looking for better ways to store all of that bulk stuff…I love the pantry idea. A little extra time will save me a bunch of space. Great post, I found it on the SITS linkup ? Thank you! I’m so happy these tips have helped you. You and I really were on the same page! Get that extra cardboard out of your space!!! This post couldn’t be more timely for me, Adrian. In my hopes to do a nice spring-cleaning, I’ve had the coat closet, kitchen cabinets, and garage in the back of my mind. They need organization badly! I really like the idea to figure out whether the original packaging is something I can get rid of and still safely store the item or goods. And yeah–plasticware, don’t even get me started! Thanks for the great ideas! Awesome! I’m so glad this tip is going to help you. Thanks for stopping by.